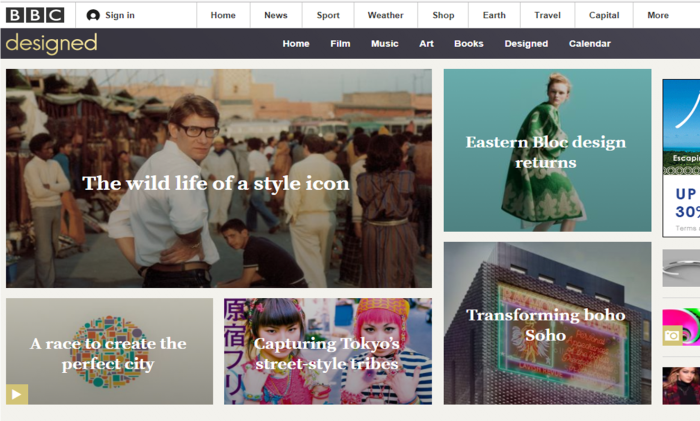 BBC.com has launched its first luxury “supersection” called BBC Designed. The new unit has been created as a response to growing audience and commercial interest around premium content within the luxury sector, according to BBC. This new supersection will focus on four areas of editorial: dress (fashion and style), dwell (architecture), drive (transportation), and device (technology). Branded as smart, stylish, and thought-provoking, BBC Designed will also explore the historical and cultural impact that design has on our lives. The US launch is sponsored by Genesis, a global luxury automotive brand that targets to deliver high standards of performance, design, and innovation. At the same time, BBC.com also announced that it has developed a new digital product which allows it to create bespoke sponsorable supersections. The new product targets brands wanting to take advantage of its latest user experience and viewability techniques, among others. Alistair McEwan, SVP commercial development, Asia and ANZ, BBC Advertising, said the launch of this new digital supersection product enables the company to develop curatable editorial sections to meet the needs of its brand partners around its editorial content. BBC Designed will also publish contributions from creators, design experts, and BBC talent, while publishing shareable and mobile-first content on a daily basis. The mixed-media content of BBC Designed includes originally commissioned written features, image slideshows, video, and animated infographics. Content will be promoted across BBC.com and on BBC Designed-branded social media channels. BBC Designed is expected to draw on the diverse content and broad reach of the four BBC.com features sites: BBC Culture, BBC Future, BBC Capital, and BBC Travel, which complement BBC.com’s world-class news content. The features sites, alongside the BBC’s more than 30 in-language sites, reach 150 million unique browsers each month. The role of the ECDs will change drastically, clients will take a more active role in creative - here's what to expect, writes Bat.. It has been nimble, innovative and resilient in the digital era and perhaps that's the reason out-of-home has always been an impor..